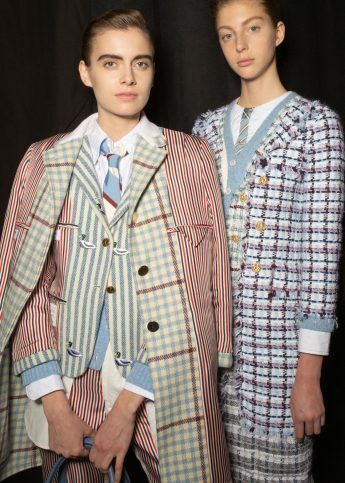 Thom Browne teams up with Mr Porter for a nine-piece menswear collection. New York’s Thom Browne has teamed up with MRPORTER.COM to create an exclusive nine-piece capsule collection for AW14. Consisting of a sports jacket, Chesterfield overcoat, cropped trousers and contrast brogue boots, the collection is demonstrative of the luxury tailoring Browne is renowned for. Taking classic staple items and re-fabricating them with his own blend of unique character, Browne presents us with a slim, lean silhouette spun with a preppy Americana aesthetic. The resulting collection is an innovative take on luxury tailoring steeped with design notes from Thom’s background of exquisite craftsmanship.